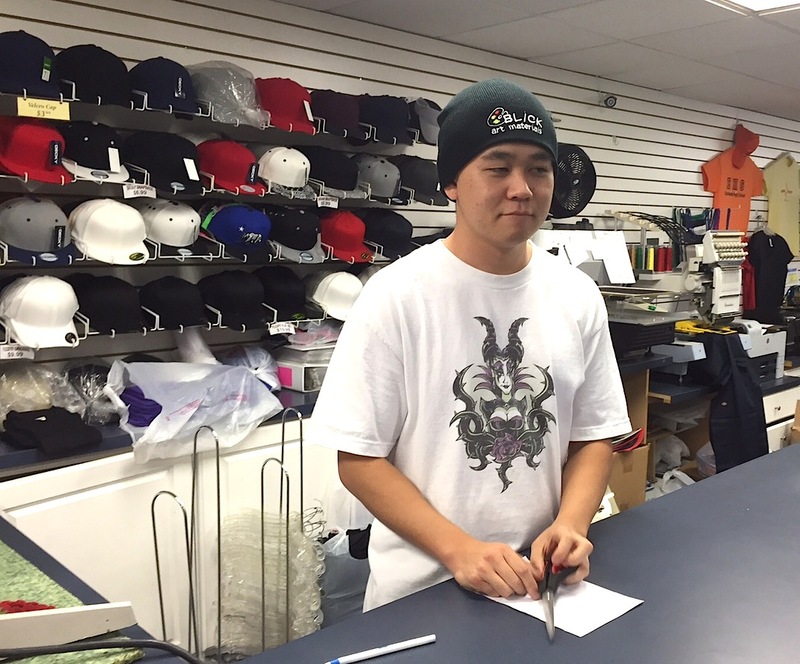 Dat Punk Timbo aka Rickey Fang at his other gig, T-Shirt Mart, 510 W. Valley Parkway. It’s about time I get a comic up again! 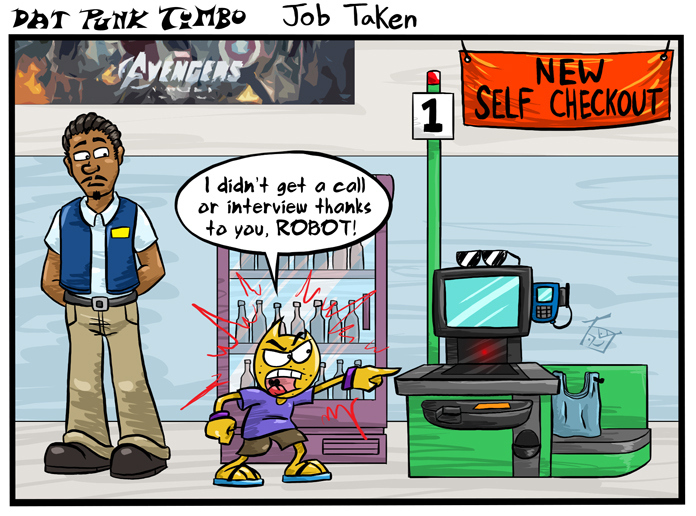 This comic continues on with Timbo’s job searching story arc. Here, Timbo and Uncle Fredrick are planning how Timbo should approach his job interview. This comic isn’t exactly based on any personal experiences since the job interviews that I’ve done IRL weren’t really awkward. I ended up making up an awkward situation and have fun with my characters along with the silly trope. This comic took me a while simply because I had many drafts for a story about “preparing for a job interview”. I felt that many of my drafts were either a bit too predictable due to the trope I was playing with. I even scrapped a comic that was 50% finished. However I eventually thought of having Uncle Fredrick give suggestions to Timbo because we all have that uncle who gives GREAT ADVICE. Also during the time of writing, I was waiting to get my next paycheck to buy METAL GEAR SOLID V so I thought it’d be funny to have Uncle Fredric speaking to Timbo through an ear piece a la Codec from MGS. 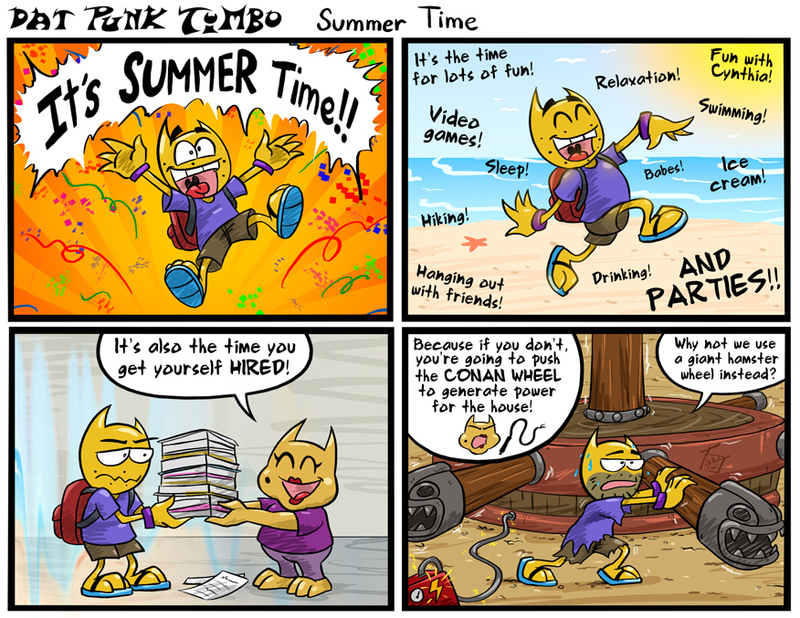 Overall, I am quite satisfied with this comic and I’m glad I didn’t go with my “generic” drafts I had. I’m not sure when this story arc will end, but I’m pretty sure the comics won’t always focus on it. I have too many random ideas that don’t follow the story arc for future DPT comics.